When most people think of getting a new vehicle, they typically think of it as purchasing the vehicle with the help of various financing options. However, leasing is becoming much more popular for those who appreciate lower monthly payments and the benefits of always driving a new vehicle under warranty. 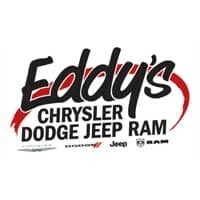 When you go to select your next new MOPAR vehicle at Eddy’s Chrysler Dodge Jeep Ram, you basically have three options. You can pay cash, but this is rare since there aren’t many people who have that kind of money laying around. You can purchase your next new vehicle with the help of financing, and our experienced finance team takes pride in finding the right plan for nearly any budget. Finally, you can lease your next new ride. To determine which one is best, consider your budget and needs. If you are handy with a wrench, plan on driving the vehicle until the wheels fall off before putting them back on and driving it some more, purchasing is probably the best option. If, however, you appreciate the benefits of a new vehicle under warranty, and plan on upgrading to the next great thing from MOPAR after your vehicle gets a bit worn out, consider leasing. The payments will most likely be lower since you are only responsible for the price of the vehicle through the term of the lease, and when it comes time to upgrade to your next new vehicle, you won’t ever have to worry about being upside down on a loan. Simply turn in your leased vehicle and jump into the next one while you continue to enjoy low monthly payments.